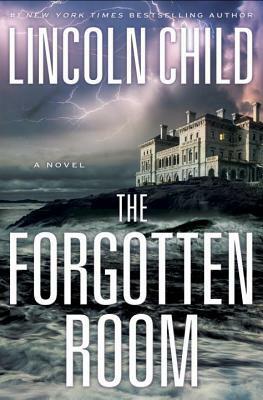 I am a big fan of both Lincoln Child and Douglas Preston, whether writing on their own or together as a team. I’m always excited when one of them has a new book published, so I was really looking forward to this one. I enjoyed the first three books in this series (LOVED #1 and #2), and I really wanted to love this book too. I have to admit that I was disappointed. It is still a good book, just not the great book that I was hoping for. Dr. Jeremy Logan is an enigmologist called in to investigate the strange death of a scientist at Lux, a think-tank where Dr. Logan himself worked for a short time before being ousted for his non-traditional work. The scientists sudden strange behavior right before his death has the administration concerned enough to call in an expert, and due to the nature of the death, they decide that Jeremy is the perfect person to bring in to investigate. He discovers a secret room in the west wing of the Lux complex, one that had just recently been discovered during some renovation work being done there. There is some strange equipment in this room, and evidence that someone else has been frequenting the room. Dr. Logan has to find out what research was being done in this forgotten room, and who might be trying to continue that work now. It had an intriguing plot, and interesting characters, but some of Jeremy’s decisions and actions left me questioning his supposed intelligence in this one. It’s still a decent thriller though, and fans of the series won’t want to miss it. Anything with an intriguing plot and interesting characters always gets my vote! But I do get kind of frustrated with characters who make irrational decisions; so I understand why you only rated this one 3 stars. Glad you enjoyed it overall though! I’ve only read the Pendergast novels, never one from just Lincoln or Childs. Sounds like I need to check out this series. thanks!